Stamped on Rear "Herter Bro's"
Herter Brothers was commissioned to decorate the home of Oliver Ames, Lieutenant Governor of Massachusetts , subsequent to the completion of the Morgan Commission. For the Ames home Christian Herter asked to recreate the Morgan drawing room furnishings with their unique cream color and gold leaf finish. Herter reproduced this form for the Ames' whose cabinet is now in the collection of the Metropolitan Museum of Art. Period photograph and slight differences between the two cabinets positively identifies this cabinet as the one made for Morgan. Artistic Houses was a publication that was realeased sequentially in four volumes in 1883 and 1884. 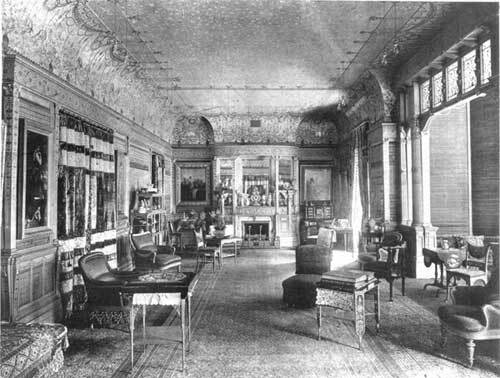 It showed the interiors and gave short descriiptions of elaborate American homes. 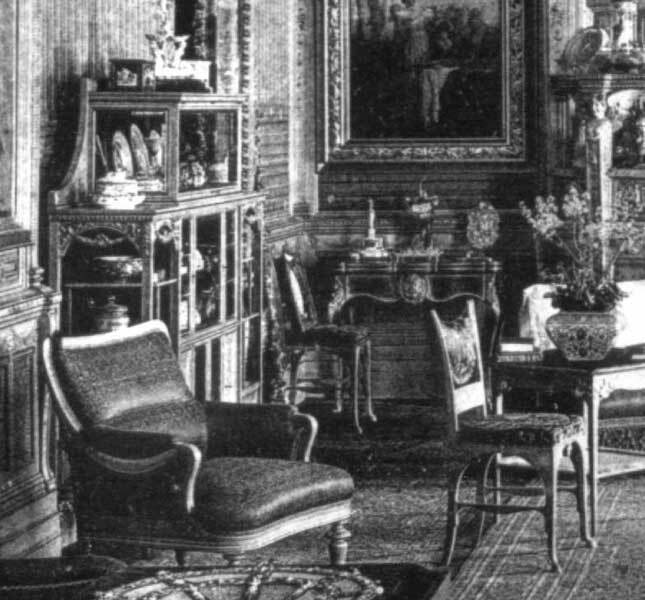 J. P. Morgan's New York City mansion was shown in several plates. 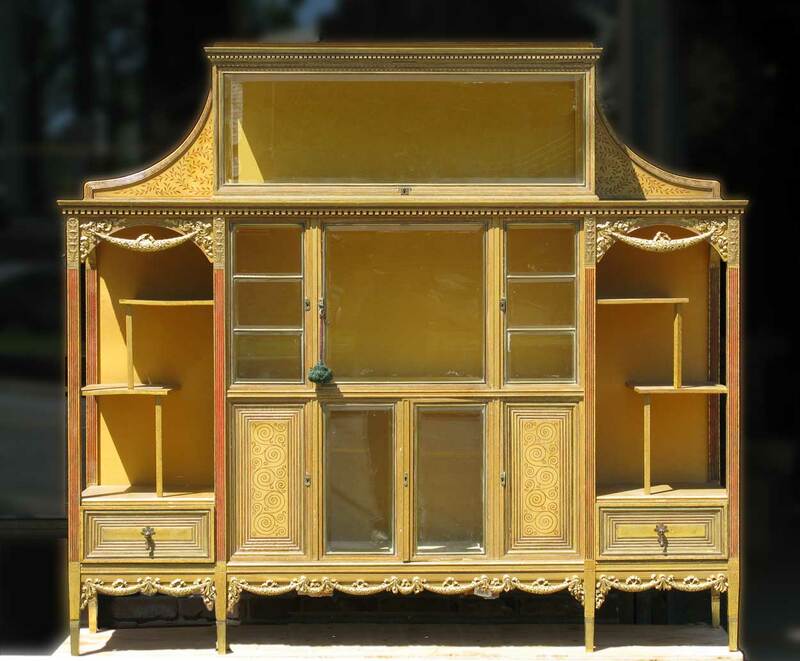 This cabinet can be seen In the back left corner of the image of Mr. Morgan's drawing room.